I will be unable to mail out De Long’s Wine Grape Varietal Table and Maps between 29 October and 6 December. I am also temporarily out of stock for the Italy Wine Maps. If you wish to buy any of these products, (Variety Table, Maps of California, France, Germany, Spain & Portugal, South America) please order before 28 October. I’d like to remind you about my new publication EST! Wine Tours which is available for free from the App store. 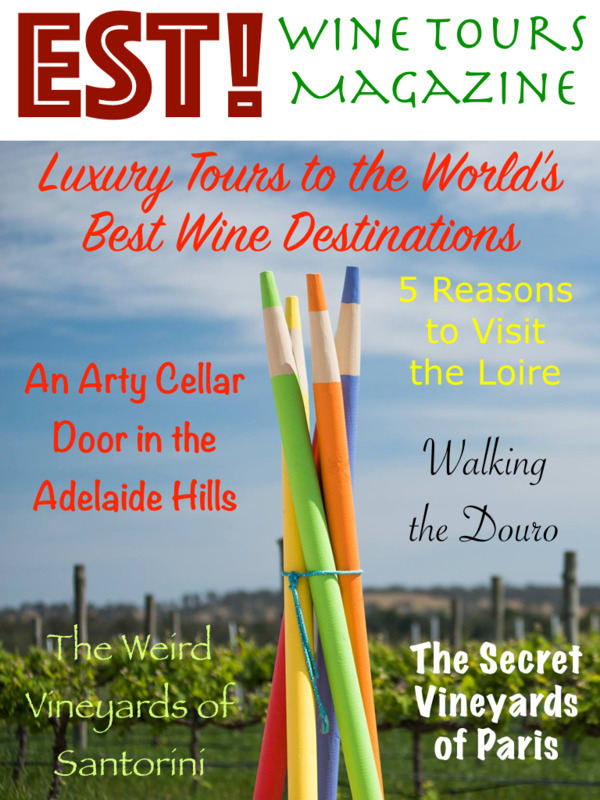 The magazine covers different wine destinations around the world. If you have followed Vinodiversity for a while you will know what I mean by different. The first issue of EST! Wine Tours included stories about Adelaide Hills, Loire Valley, Paris, Portugal, Santorini and Tasmania. The second issue, to be published soon, will include Slovenia and NE Italy, Salta, and Rioja. EST! Wine Tours is published for iPads and iPhones you can download it and read it offline. Ideal for armchair travel as well as reading on a long flight. I’d like you to help me with this magazine. Liking the magazine’s page on Facebook and leaving a nice comment there. You can invite your friends to like the page or share it on your timeline as well. My aim is to build up a readership and finance the magazine by paid advertisements, so that I can keep the subscription rate free. If you help build circulation then my job is easier. Thank you. Don't forget you can forward this email newsletter on to any friends who might be interested.